Pour water and milk into small saucepan; bring to boil on medium-high heat. 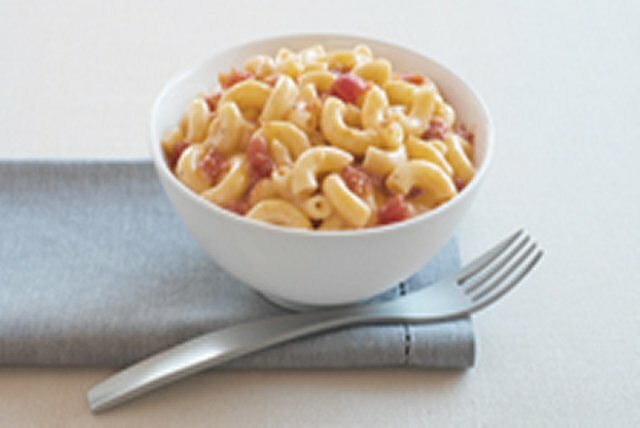 Add macaroni; stir. Return to boil. Reduce heat to medium. Cook 10 min. or until macaroni is tender and liquid is absorbed, stirring frequently. Remove from heat. Add tomatoes and Cheez Whiz; stir until Cheez Whiz is completely melted and mixture is well blended. Stir in 1 cup of your favourite frozen vegetables during the last 5 min. of the macaroni cooking time.